Click on your username in right side of the navigation bar, and then click on Billing in the drop-down menu. In the Billing page, click on the Your Billing tab (next to Your Plan). Click on the Add link next to Additional Invoice Recipient, type the email address in the empty field that appears and press Save. Presto! 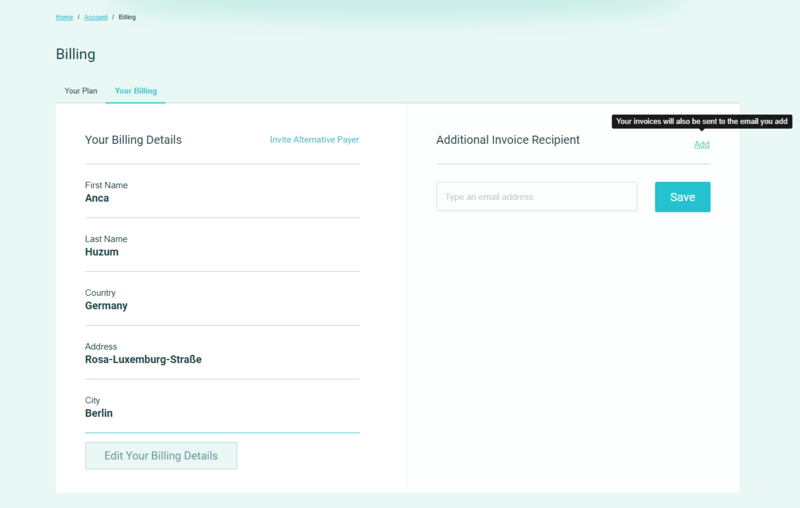 All the future invoices in your POEditor account will also be sent to the email address you added in the Additional Invoice Recipient section.